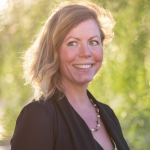 I’m beyond excited to share this interview I recently recorded with Virginia Marum of Vert Foods (www.vertfoods.com and www.facebook.com/vertfoods). I contacted Virginia to talk with me so we could address a request I received as text from an eating disorder recovery coaching client. Virginia is now a model of health, vitality and loving food and your body. But her story didn’t start out that way. At the age of 9 her parents deemed that she was overweight, took her to a doctor and put her on a liquid diet. This began her unhealthy relationship with food and an unnerving sense that her body needed to look a certain way to be acceptable to those around her. Virginia talks in our interview about the years of yo-yo diets, calling them diet cults, that ran her life for over a decade and ended up with her checking herself into the hospital twice seeking relief from symptoms of her disordered eating. This bright, energetic young woman who had hopes and dreams of pursuing her passion for art found herself wrapped up in cycles of eating disorders like anorexia and bulimia and left her with a severely broken relationship with food. Today Virginia is the founder of several businesses where she not only teaches and advises people about healthy food preparation and nutrition, but she even offers personal chef services. Her food is locally sourced, organic and always made from scratch [with love]. That’s why she’s been my personal chef years; I know her values, trust her knowledge (I call her a walking Wikipedia about food and nutrition) and totally enjoy the delicious foods she prepares each week. 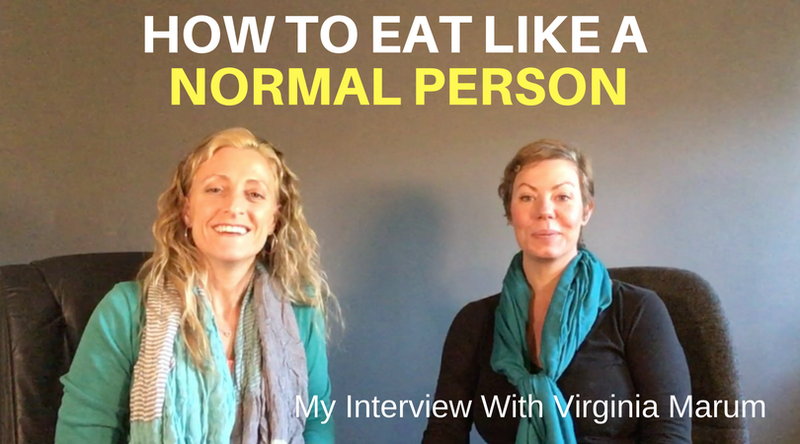 In our interview Virginia shares the journey that brought her full circle to healing her body and taught her to love food in totally new ways. What put her on the path to healing herself was living inside a body that was breaking down at an early age. As a young woman in her 20’s she checked herself into the hospital because her hair was falling out and she had welts all over her body. She never made the connection between her symptoms and the nutrition-less food she was consuming. Thankfully, through divine intervention, she was presented with an understanding dermatologist in the hospital. He proceeded to tell her the things she was consuming (according to her “healthy” diet) weren’t even “food”. They were “products” filled with all sorts of chemicals and were the source of her malaise. Virginia said she was enraged at first and then grew curious how the source of her body breaking down correlated with the things she was eating. In Virginia’s defense, at the time she wasn’t aware that she had a broken relationship with food. She thought living a raw food/vegan diet was healthy, but it contained too many soy products and was also masking her eating disorder behaviors. While eating whole, real foods can be helpful the things she was eating weren’t real food and her deprivation mentality wasn’t helping things. During college she also checked into the hospital for severe insomnia thinking they’d give her sleeping tablets. She had another wakeup call from the doctor there who asked her “Why do you hate food so much?” The doctor refused to give her sleeping pills and suggested she take a look at what she was/wasn’t eating and start there. Virginia’s journey is unique, but her story is not so unusual. In today’s world, many of us have adopted a misguided understanding of the purpose of food. It is fascinating to hear her talk about how she was guided by the dermatologist to embark on nutritional therapy methods (learning about 100+ diets) as part of her path to rebuilding her health and relearning to relate to food differently. She now jokingly talks about how she would get upset and angry while cooking in the early days – even arguing with her food. The process of transforming food from scratch into delicious meals, gaining a new mindfulness practice and learning to see food as nourishment, not the enemy, were components that healed her overall relationship to food. Virginia talks about how she eventually learned food was there to serve a purpose – to heal her, to allow her to thrive. That by consuming food, real food, she could heal her body. And so she did. She grew her understanding of what food was, how the body used it and needed it, and now teaches others how to relate to their food and body differently. Hey Doc, How Do I Lose Weight? We also talked some about the over indulgence and lack of nutrition in food that causes people to unwittingly overeat. The body simply isn’t receiving the nourishment it needs, so it’s going to signal to you to keep eating until your underlying cells have the macro and mirco nutrients they need to thrive. Processed foods simply don’t contain the beneficial materials our bodies need to give us the energy we demand for our lifestyle, so we eat too much of it in an attempt to satisfy the body’s needs. Part of the conversation turned to how we’ve evolved to tune out or shut off our instincts. When we go into deprivation mode, we have to train or condition ourselves to tune out to the signals from the body to feed itself. Often we see parents training their kids at an early age not to trust their body’s instincts. 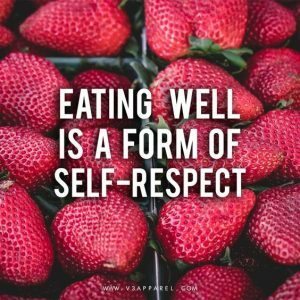 We tell our kids “I didn’t see you eat everything on your plate” or “You don’t want to eat this, but if you’ll eat 2 of those then you can have dessert.” Our attempts at getting kids to eat what we think they should eat or how much they need to eat is actually training them out of listening to what their body needs. Restriction is somewhat normal in the human experience – feast or famine is something early humans lived with. Yet when we intentionally deprive ourselves, the body boosts the levels of cortisol because it signals danger – a threat to our survival. It goes into fight or flight mode and adrenaline goes up to meet it. We tune out to the signals to eat and live on the energy our body’s given us from adrenaline. We go about being “busy” all day and then crash at the end depleted because the body was running off fumes from adrenaline, not the real energy it needs from real food. Normal eaters don’t think “I shouldn’t eat this” or “I don’t deserve that.” They eat what tastes and feels good and stop eating when it doesn’t. 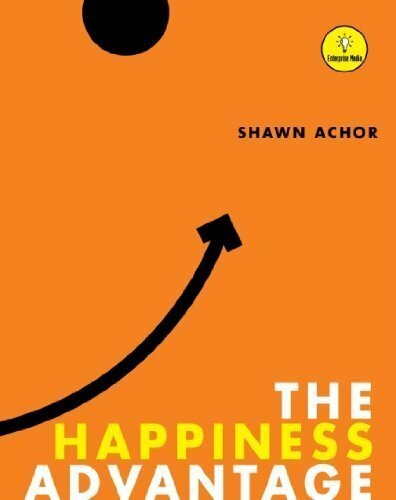 We need to stop thinking about punishing or depriving ourselves of food. We need to look at food as nourishment, part of what allows us to get up and go into our day and be all that we can be. It’s time we, as adults, rethink our beliefs around food and its purpose. It’s time we condition ourselves with beliefs that serve us instead of allowing lingering patterns from childhood to play out in our life. Especially when these underlying beliefs create suffering. I encourage you to look into your own life, your own mind and bring to light some of the beliefs you were raised with around food. You can change those old beliefs and it starts with identifying ones that don’t serve you and coming up with new, empowering beliefs that do serve you. Begin to see food for what it is. It is nourishment, an energy source to allow us to thrive and enjoy what we do in life. What old beliefs do you allow to linger that it’s time to let go of? What do they sound like? Perhaps “I’ve done ______, now I can have a treat.” Or maybe “I shouldn’t have that food because I haven’t done __________.” The trading you’re doing with food and your behaviors should be a sign you’ve got some stuff mixed up. As part of Virginia’s healing she studied and suggests mindful eating practices. Mindful eating is meant to help us slow down, appreciate and enjoy our food with greater presence. In addition to being more mindful, I’d like to offer that we also remember to prioritize food and eating. When we prioritize it, make it more important than something we check off our list or do between running errands, we’re showing ourselves we prioritize our Self, too. Part of the experience of extreme self-care is not only making sure to eat, but making eating and nourishing yourself a priority. Like putting quality fuel in your gas tank. You wouldn’t put junk gasoline into a Ferrari and expect it to be high performing. When I asked Virginia, what do normal eaters think she said “Food is YUM!” Food is here to heal you, energize you, allow you to do what you love doing. Don’t make it bad, wrong, evil, punishment, should or shouldn’t do something. Normal eaters don’t obsess about food or fear it. The meaning they give to it is based upon a definiteness of purpose. Enjoy it and it serves you. Stop when it doesn’t. What meaning are you giving to food? Can you shift your paradigm to look at food like you look at air? What if food was just another element on this planet put here to allow us to thrive? Water, food, sunshine, oxygen…all elements the body needs to function and allow our spirits to enjoy this life experience. How Do I Heal My Relationship With Food? Sounds too simplistic, doesn’t it? Well, I have been looking at the things I am eating or want to eat differently since I heard her answer. For a long while I’ve realized that food is assimilated by my body and what I put in is important so I try to be mindful. The more chemicals, toxins, and processed the “products” we consume the more that’s going to add up in my body. Now, I’m also looking at food from a feeling perspective. The way I relate to my food, how I feel about it, has shifted since our conversation. I hope you have a new way of relating, too, after hearing this. When Virginia mentions that all foods have different vibrational energies that really hit me. I know this having learned about the electromagnetic energy foods give off. When I’m vibrating at a lower state (sometimes I think I may be more acidic/ph inside but I’ve never tested it), then I’m likely going to crave something of a weaker vibrational nature (processed sugary or starchy foods). When I’m in a space of gratitude, appreciation or simply feeling good then I’ll be aligned with better feeling and vibrating foods. In my own life I’ve reached for sugary, starchy, processed foods when I feel bad. 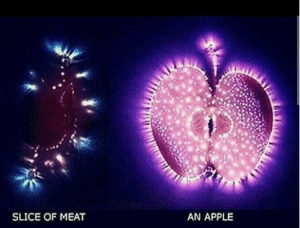 Well, if you think about it how is your body going to assimilate a low vibrational food (something that’s not alive and probably never was)? Is it going to raise your vibration (make you feel better) or lower it? Virginia’s final parting comments from this segment were tied to her “why” and what started her on this journey and to create the businesses she has. She says that “real food will always bring you nourishment.” That’s what it’s here to do so taking in real food will serve us I believe emotionally, mentally, physically and spiritually. What’s one thing you heard from our interview or read here that you can being doing or stop doing? How about a new way of thinking or looking at things? Is there something different you can start saying to yourself around food that would heal your relationship with it? Virginia’s website is www.VertFoods.com and you can also find her active on www.Facebook.com/VertFoods. I hope this video interview has served you and supports you on your journey to healing your relationship with food.